Mediterranean coral tree (アメリカデイゴ) #3658, originally uploaded by Nemo's great uncle. 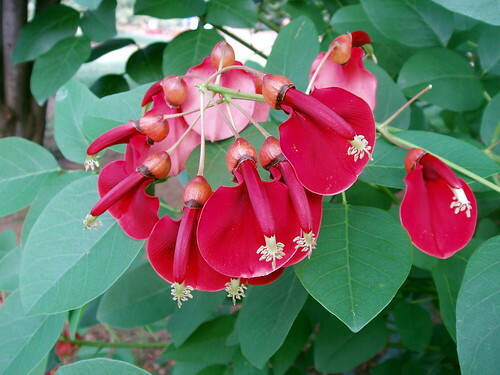 This flower does look a lot like a member of the Erythrina genus but I am not sure which species it is exactly. I can rule out Caffra, Crista-galli and lysestimon. At any rate the picture is beautiful.